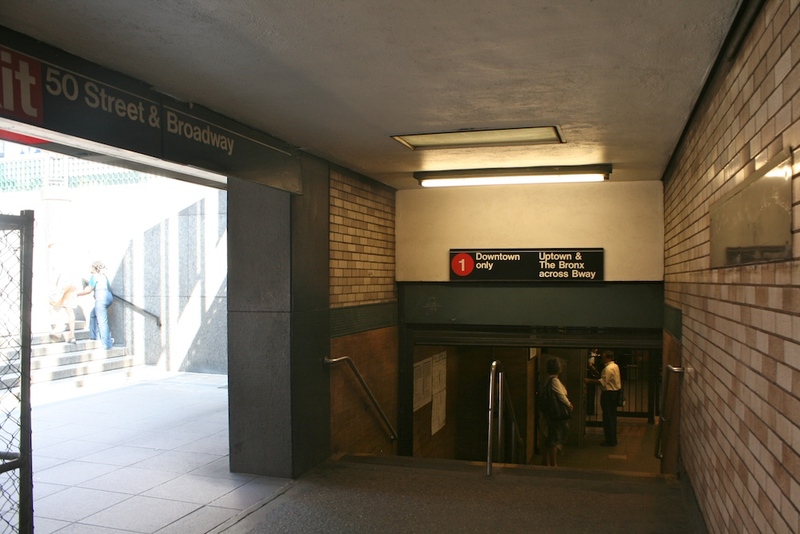 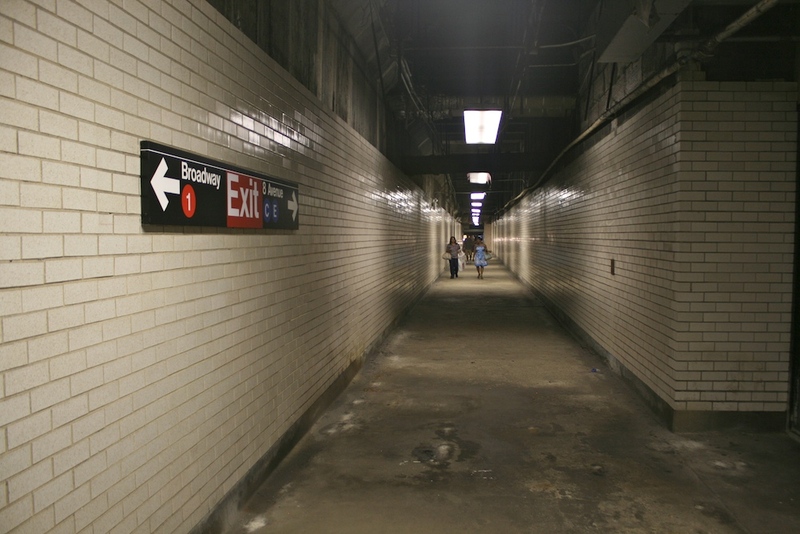 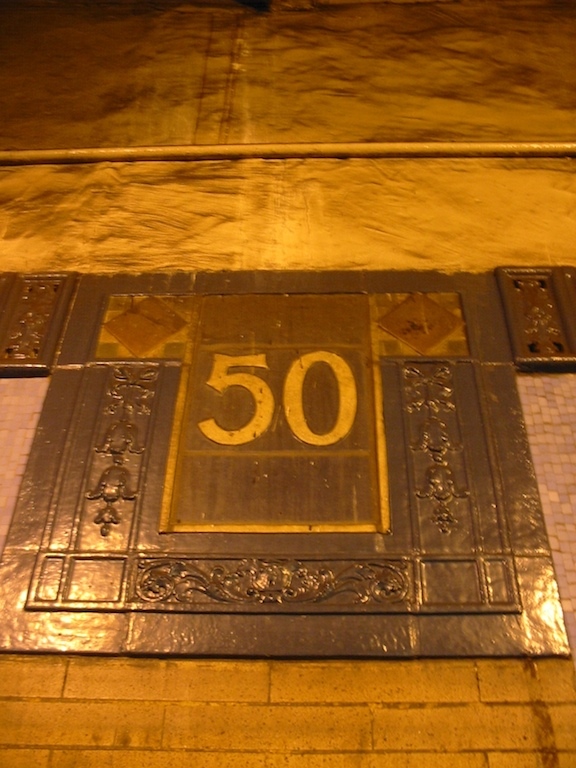 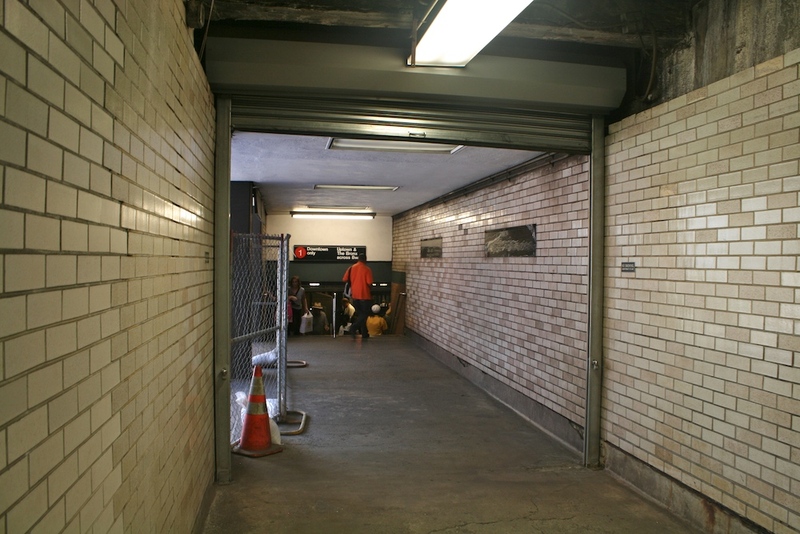 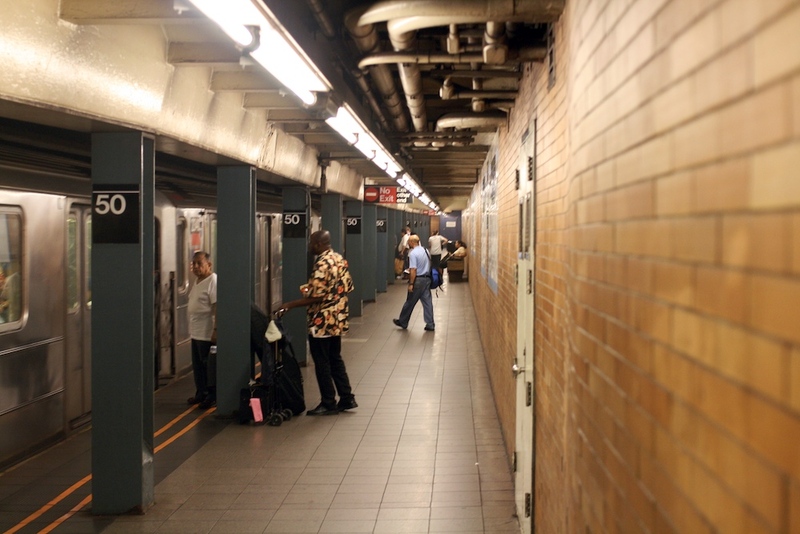 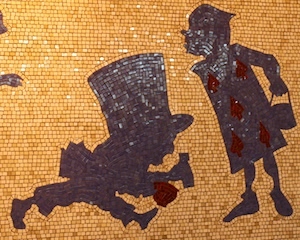 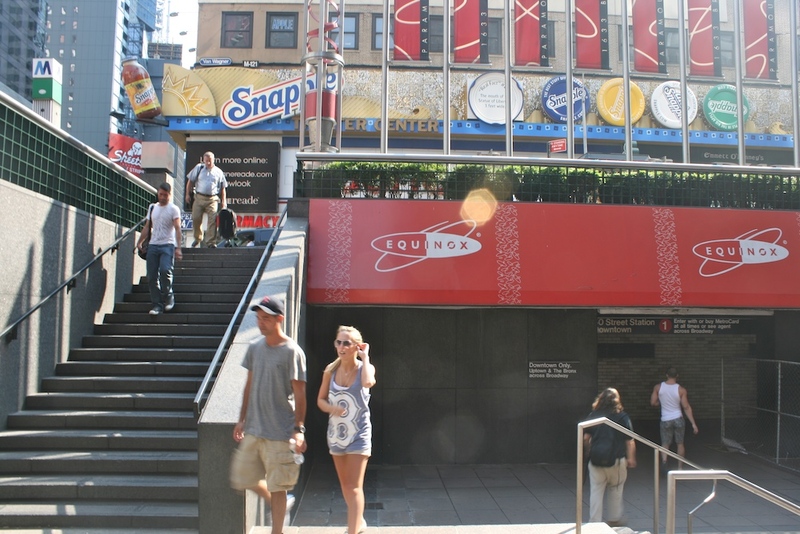 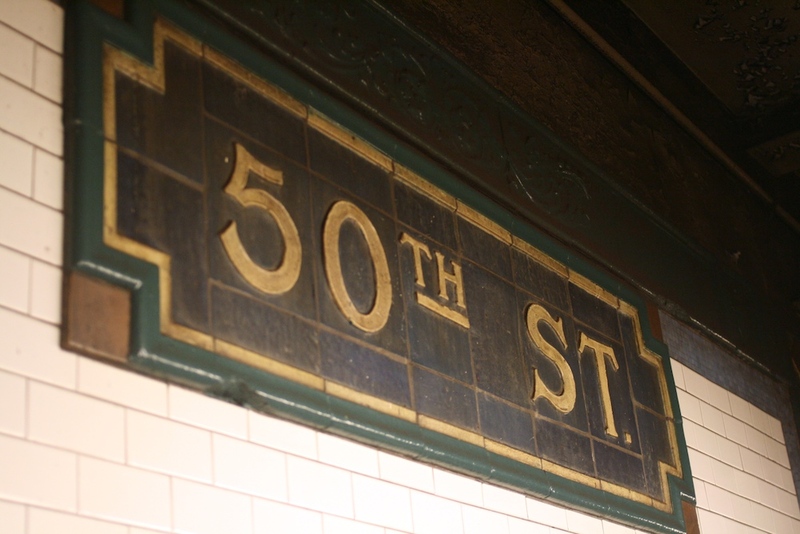 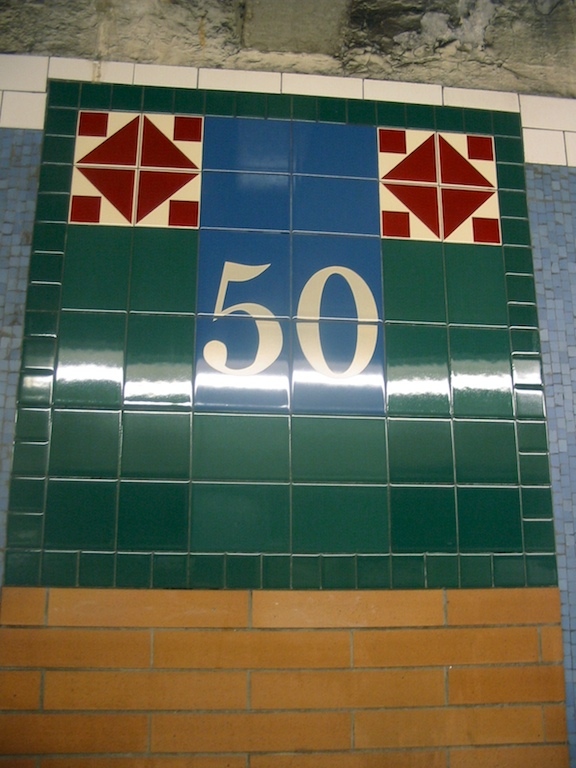 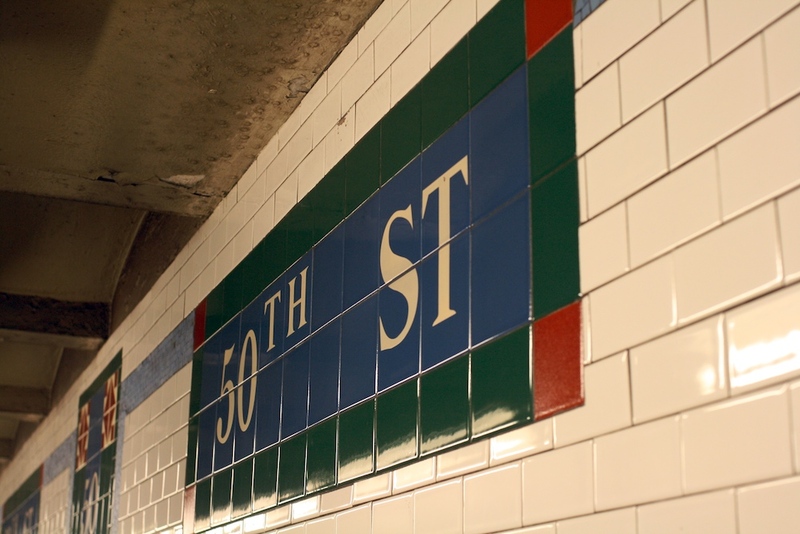 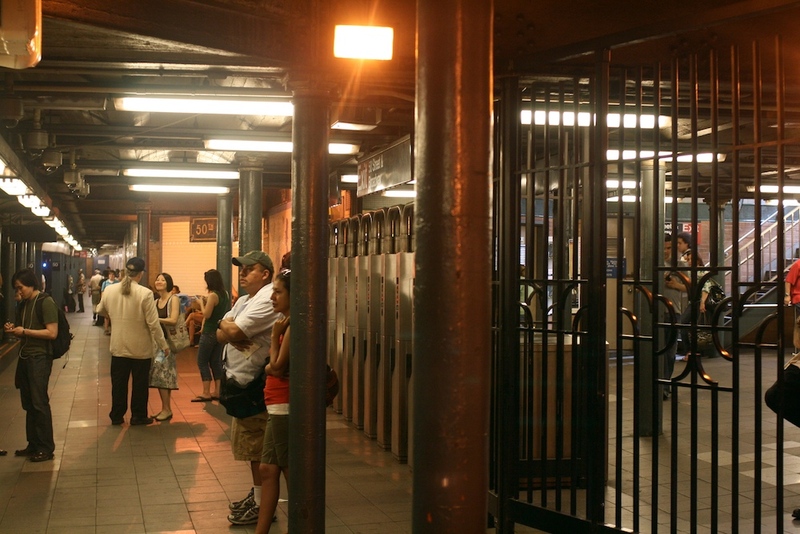 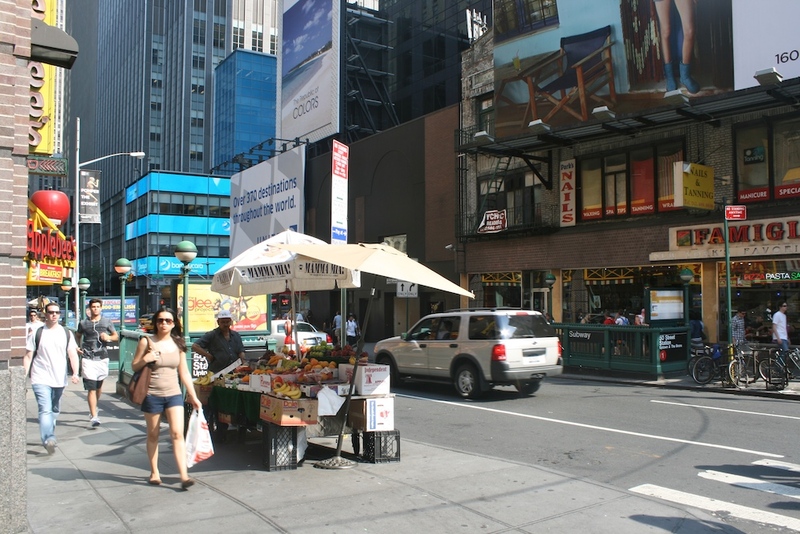 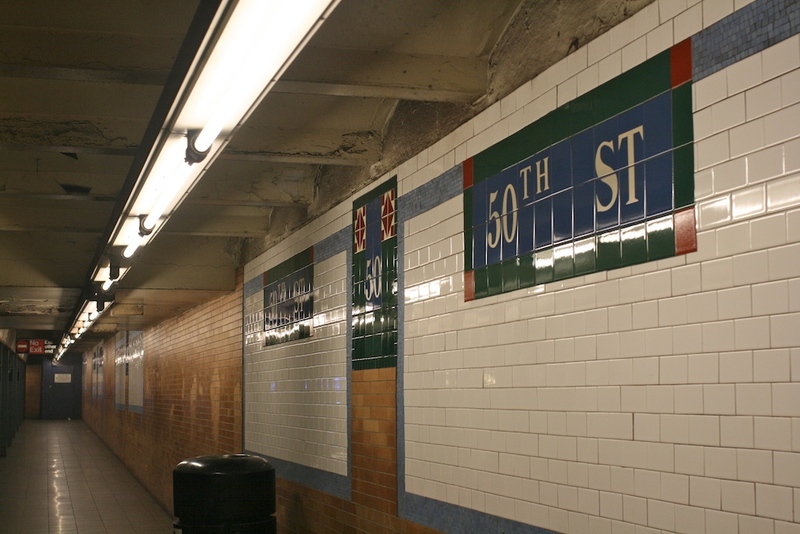 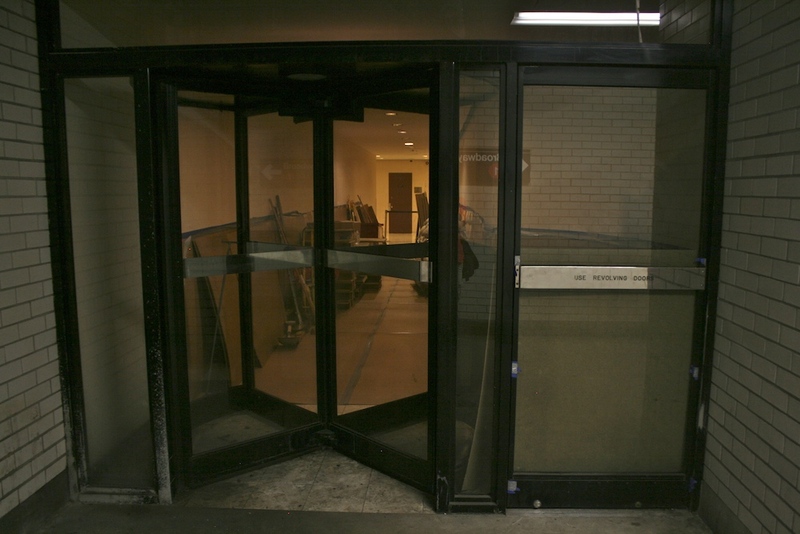 On the downtown side for exits from the on platform fare control area there is one to the building on the SW corner of 50 Street and Broadway that requires walking through a shopping arcade with a Ducken Donuts, Barber Shop, and Newsstand, while walking down the steps to the platform fare control level. 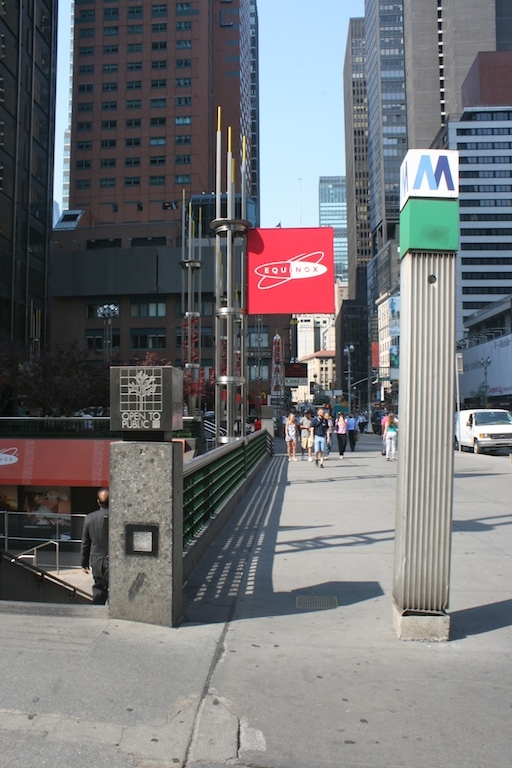 The NW corner entrance is even harder to spot the only indication at street level is a square era green block and M along the sidewalk next to staircases down to the public plaza outside of Paramount Plaza (formerly known as the Uris Building). 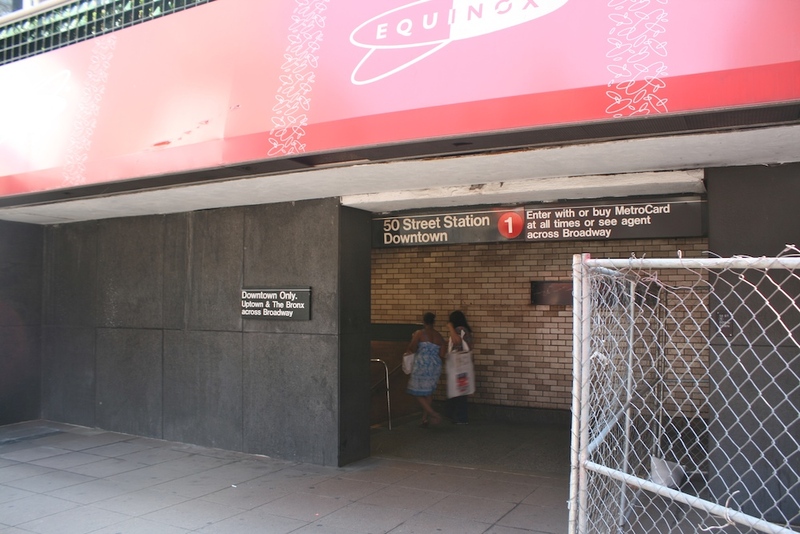 This entrance is just a little opening in the plaza and an awning for an Equinox Health Club location covers the subway entrance, still underground next to this entrance a recently reopened passageway to 8 Avenue and the uptown side fare control area of the C and E station there can be accessed, this has simple off-white brick walls and revolving doors that lead to an abandoned building entrance. 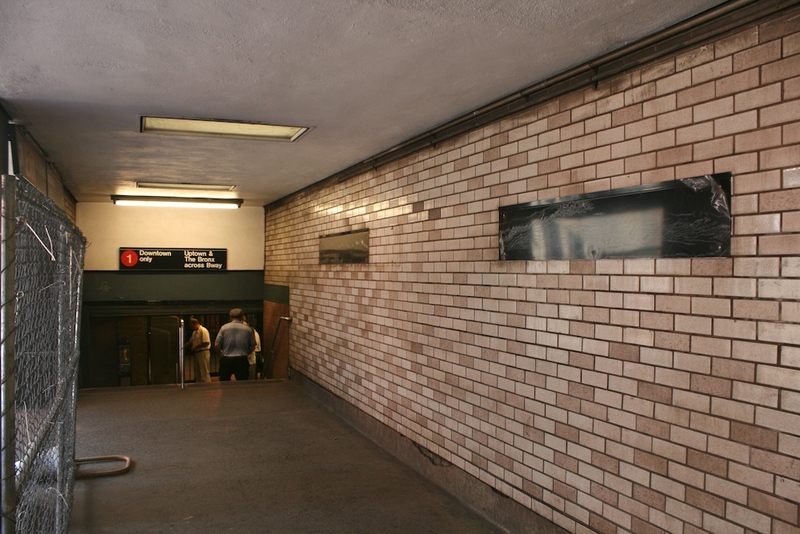 The uptown direction's fare control area is more simple there are two standard street stars along 50 Street at the NE corner with Broadway, on the NW corner there is a single street stair up to it as well as a passageway that leads (surrounded by advertisements) to a staircase up to a mid-block entrance (its a short block to 7 Avenue) inside a storefront, that seems unnecessary because simply using the streetstair up to the corner and walking down the street is less walking.